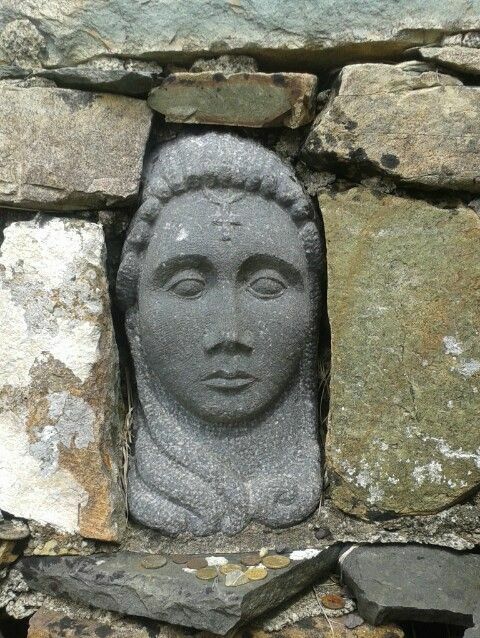 Saint Gobnait, image found on Pinterest without credit. I have a new entry on my list of places that I’d love to visit. 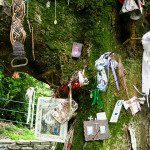 So many of my dream destinations are sacred places, and quite a few are in Ireland. 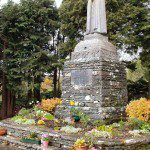 This new site fits both of those categories: Baile Bhúirne, also known as Balleyvourney, Co. Cork, where the statue, home, grave, and sacred well of Saint Gobnait receive pilgrims and petitioners to this day. 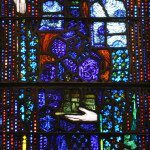 Saint Gobnait is the patroness of bees and beekeepers and February 11 is her feast day. 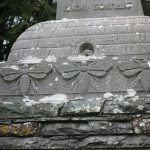 St. Gobnait (pronounced “GUBnit”) is also known by a few other names; Saint Gobnata, Gobnet, Gobeneta, Mo Gobnat, Abigail, and Deborah, to name a few. 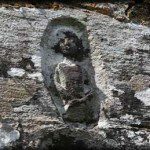 It is believed that St. Gobnait was born around the 5th or 6th century in Ireland. She fled family feuds at her home and found herself on the island Inis Oírr where she received a divine message in the form of an angel. The angel told her to go forth and seek the place where she was meant to be and do God’s work, and she would know it by seeing nine white deer grazing there. 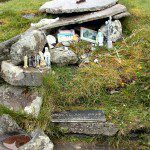 You can trace her travels across Ireland by all of the places named after her or dedicated to her memory. 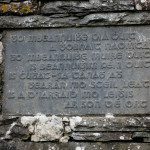 Inis Oírr has an early medieval oratory called Cill Ghobnait, there’s Dún Chaoin in West Kerry, and also St. Debora’s Well in County Limerick. Gobnait finally spied the sign of the nine white deer grazing when she reached Baile Bhúirne and began her work with the help of the monastery under St. Abban who was already established there. Abban is also associated with bees. Ernaide is the name of the place in which she is. 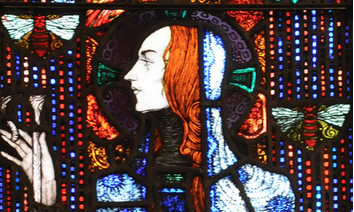 While her focus was on pastoral work such as tending bee hives, healing the sick, and founding a religious community for women, Saint Gobnait was not just a placid nun, oh no. Excavations of her home have found that she was also a metal worker, smithing and smelting. There are also legends that tell of Gobnait setting swarms of bees on forces attempting to invade Balleyvourney, causing the swollen and stung invaders to return the cattle they had stolen before they fled. Bees are more than just stinging threats or honey-makers in the Irish tradition. The soul of the body is said to leave as a butterfly or bee at the time of death. The honey, wax, pollen and other benefits of bees were considered so important that in the 7th century someone scribed the ancient laws called the Bechbretha, which translates to ‘bee-judgments.’ These laws included six different terms in Gaeilge for the kinds of bee swarms, the proper ways to decide ownership of a swarm of bees, how to punish the theft of hives or honey, how much honey a beekeeper should offer their neighbors, and the Caithchi Bech, the trespassing of bees. How fun! I love learning about the saints!